Underfloor heating is a great option when it comes to creating a clean, uncluttered and comfortable bathroom or wet room. 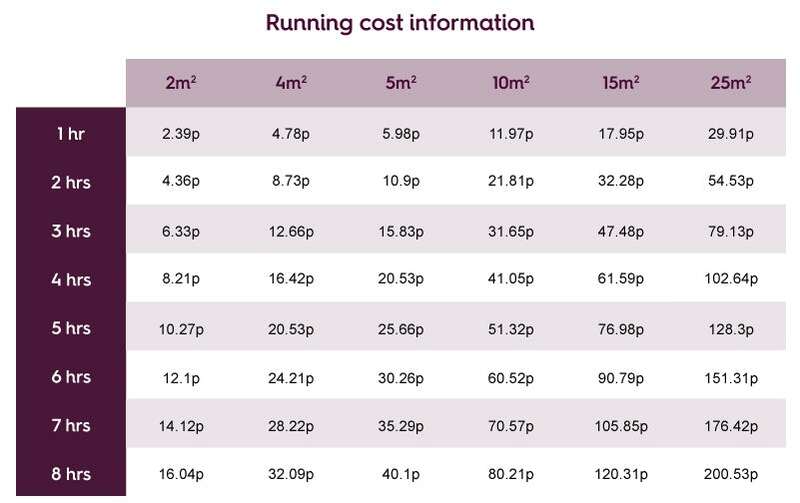 In this buying guide, written in conjunction with leading underfloor heating suppliers Warmup, we'll show you exactly what you'll need for your installation. Across the world, underfloor heating is only used in less than 5% of all homes, however, this number is on the increase, thanks in no small part to the rise of the smart home. 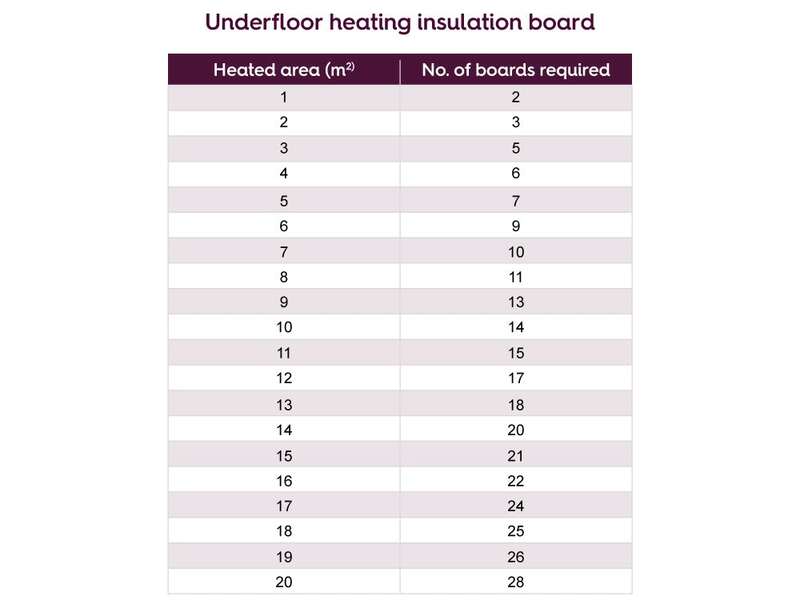 So what is underfloor heating? What are the benefits? What do you need when fitting underfloor heating in your bathroom? What type of floor can it be used with? We'll attempt to answer all these questions and more. What do I need to consider when installing an underfloor heating system in my bathroom? How much can I save with an underfloor heating system? What will I need when fitting underfloor heating in my bathroom? What type of floor can underfloor heating be used with? Underfloor heating is a heating system which, instead of using wall mounted radiators, uses wiring or piping which is installed beneath your flooring to warm your room. 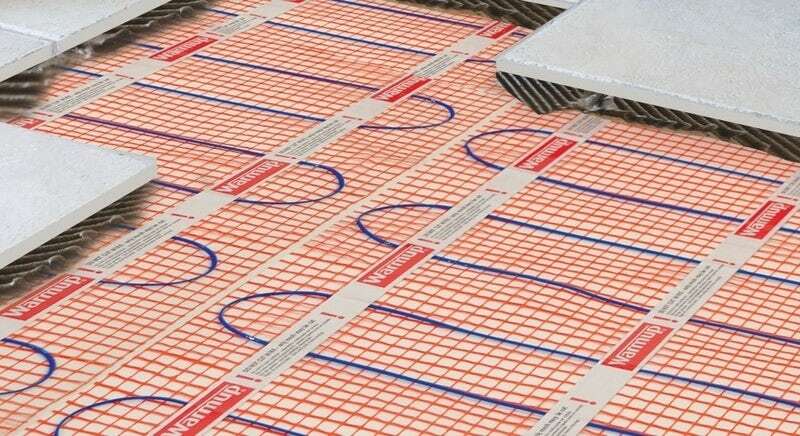 What's more, all Warmup underfloor heating systems we sell come with a lifetime warranty. 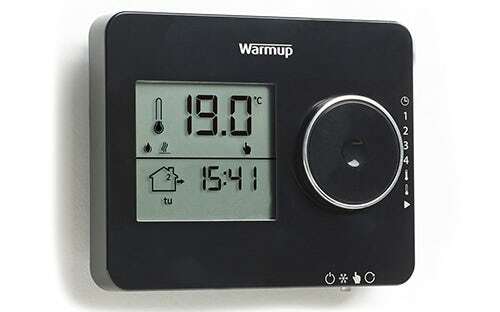 There is also an optional extended lifetime warranty for the 4IE Smart WIFI thermostat. Plus, with Warmup's SafetyNet™ installation guarantee, if your system is damaged during the installation process, Warmup will replace it free of charge. Bathrooms can often be prone to heat loss, more than other rooms in the home. Therefore, you may need to choose a system with a higher output. Ensure that proper waterproofing and drainage is in place before you begin. 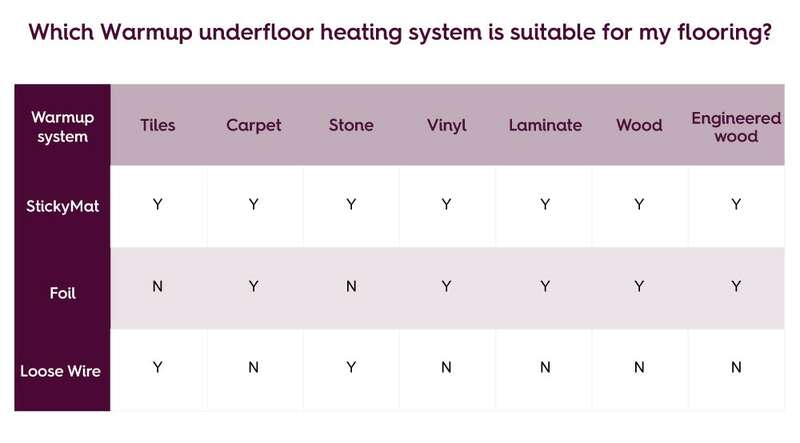 Make sure you choose the appropriate system that is compatible with your chosen flooring (see below). 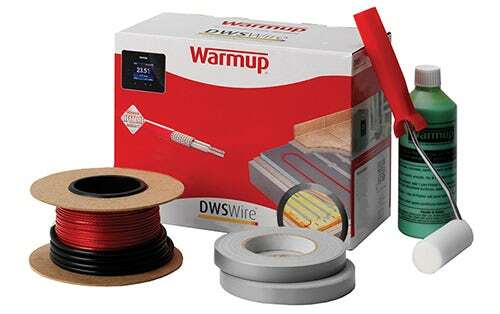 By using Warmup insulation boards, this could help lower your running costs by up to 50%. 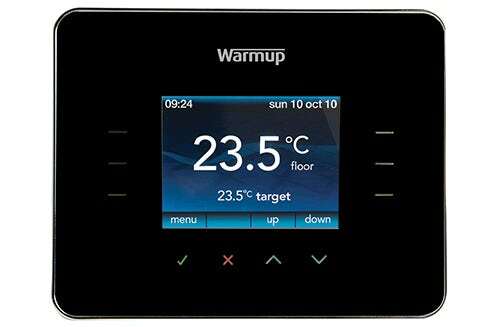 Unlike traditional heating systems, which simply heat every room within your whole property, Warmup underfloor heating allows you to heat individual rooms to their optimum temperature and duration. For example, you could heat your bathroom for a few hours in the morning, rather than all day. Assumptions: House built to Part L regulations, using 150W/sq. m mats, covered by min 10mm self-levelling latex. Temp difference between "on" and "standby" is 5°C. Floor coverage consistent to property size (e.g. 5 sq. m of heating for a 4 sq. m room). Heat-up time included in hours "on". Controlled by a Warmup thermostat, price per kWh is 11.61p. Based on average energy costs Nov 2018. Whilst costs may vary, on the date of publication, this cost a total of £152.10 + £134.10 + £107.94 = £394.14. 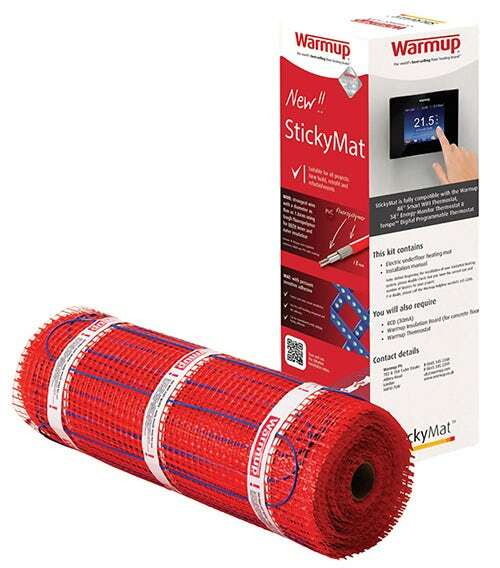 Includes Warmup DCM-Pro cable and Warmup DCM-Pro mat (to be purchased separately). You will also need a thermostat to control your heating system. 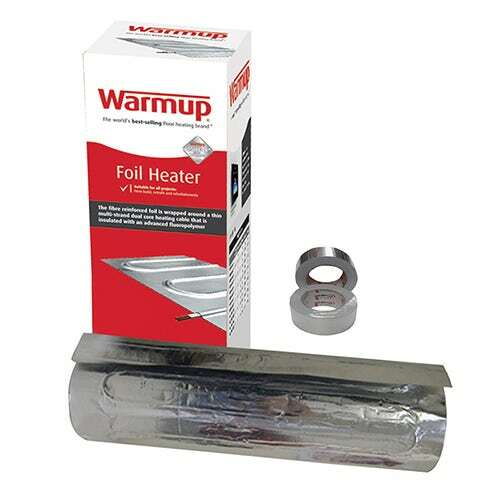 The following products are suitable for use with all Warmup underfloor heating systems. 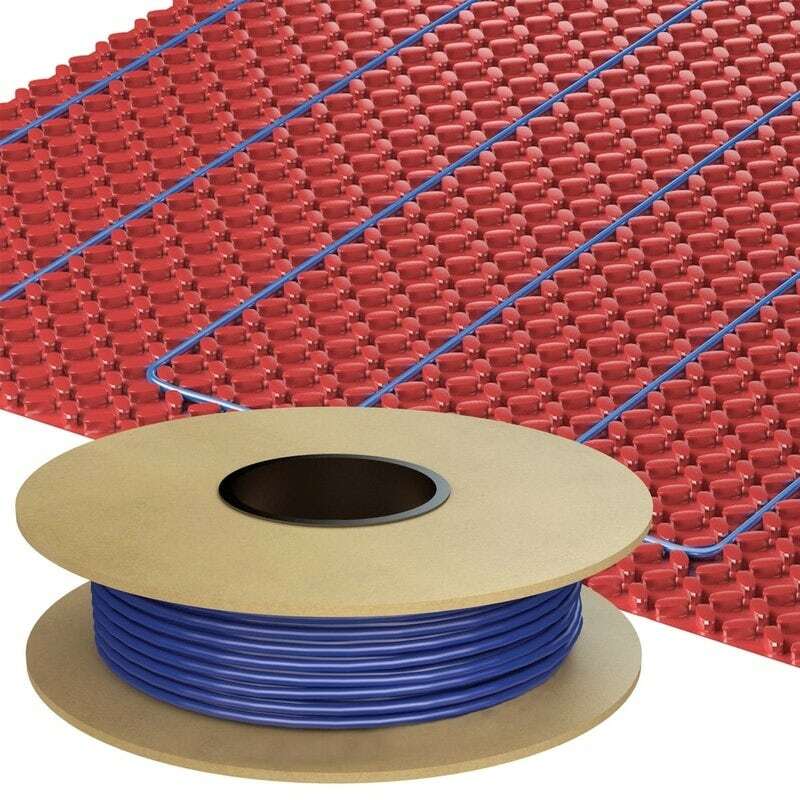 You'll also find a range of approved accessories, which will help with both installation and improve the performance of your underfloor heating. 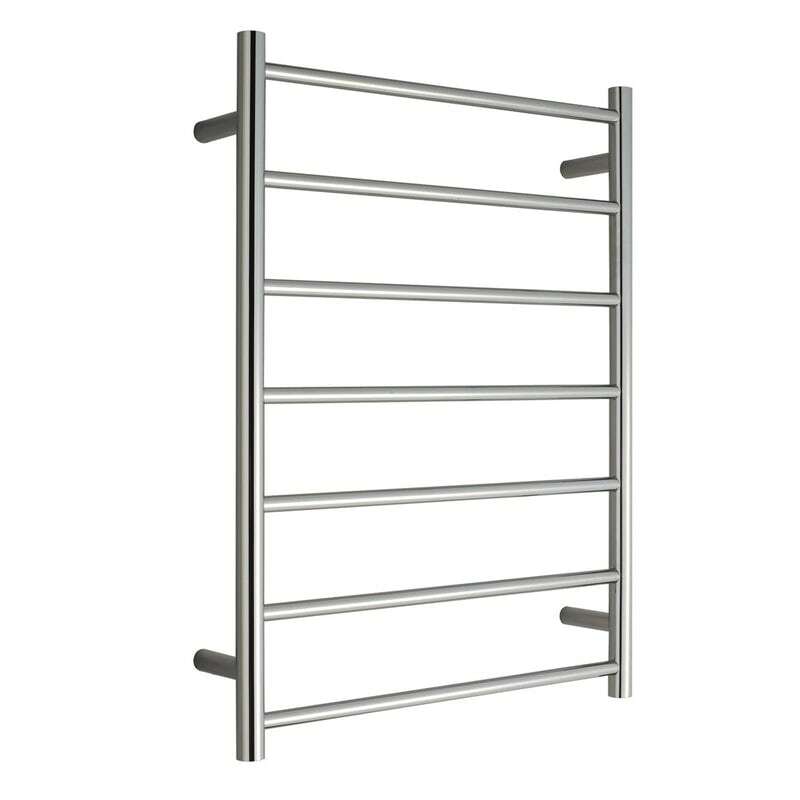 Made from high quality stainless steel, the Warmup range of heated towel rails are sleek and sophisticated—the perfect addition to any designer bathroom. With no liquids, there's zero maintenance required and they work directly from your Warmup thermostat. Perfect vision is yours in an instant with a Warmup mirror demister. 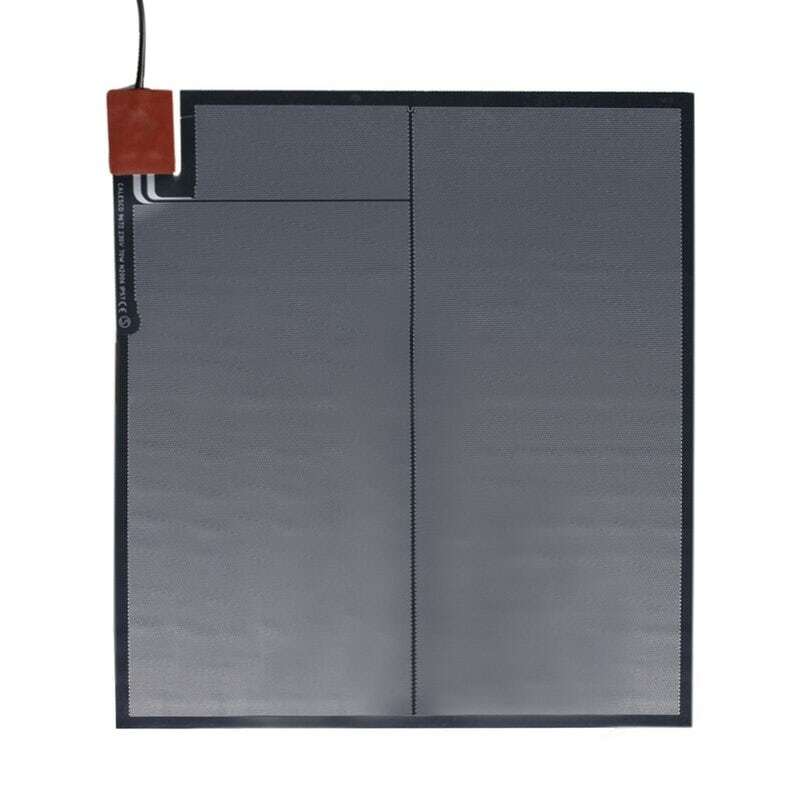 Quick and easy to install, a self-adhesive film fits onto the back of your mirror and can be operated automatically from the light switch or a separate switch. An energy-efficient product, the running cost is equivalent to a single light bulb. 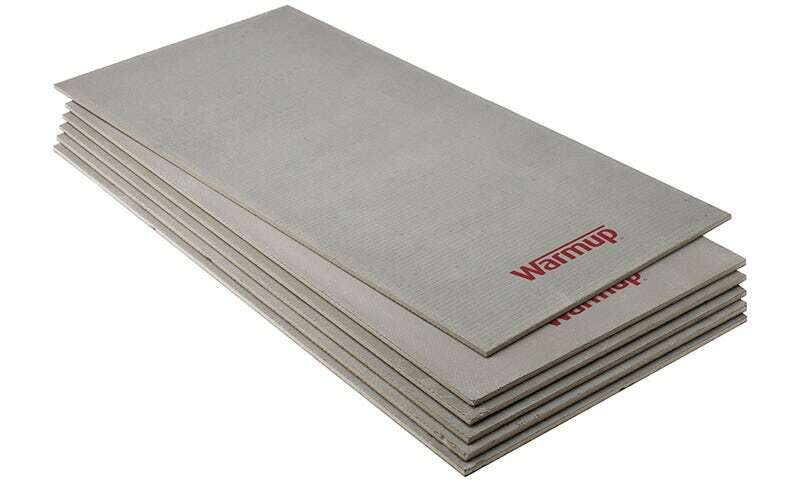 Warmup are one of the leading specialist manufacturers and suppliers of underfloor heating systems, having sold more than 2.5m in over 70 countries worldwide. Warmup offer full technical support. If you have any issues, call their 24 hour technical support line on 0845 345 2288. Designed and manufactured in world-class facilities with a reputation for innovation, quality and reliability. All products come with reassuring warranties, including the SafetyNet™ installation guarantee, meaning that if your system is damaged during the installation process, Warmup will replace it free of charge. 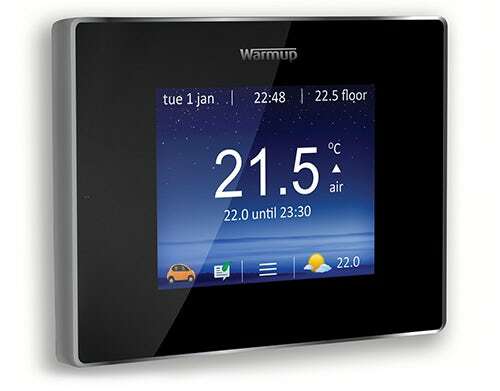 Now that you have all the knowledge you'll need, why not browse our comprehensive range of Warmup underfloor heating systems and thermostats? 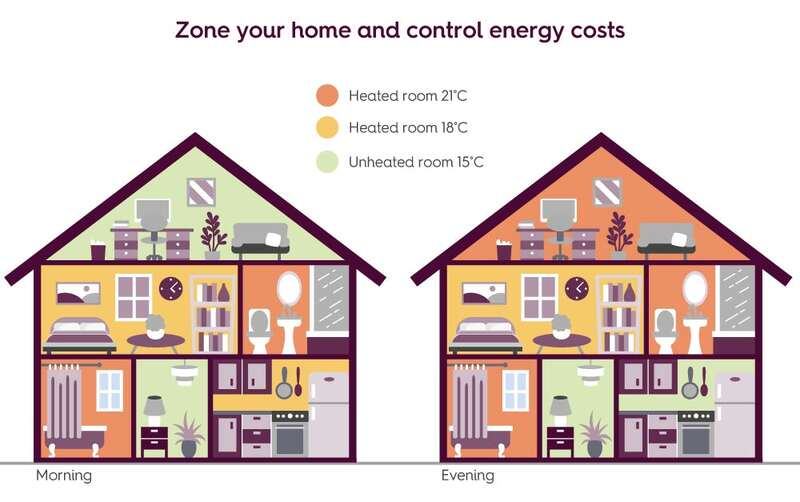 Find out more about how to calculate BTU for your room - and even how to work it out without using a BTU calculator! 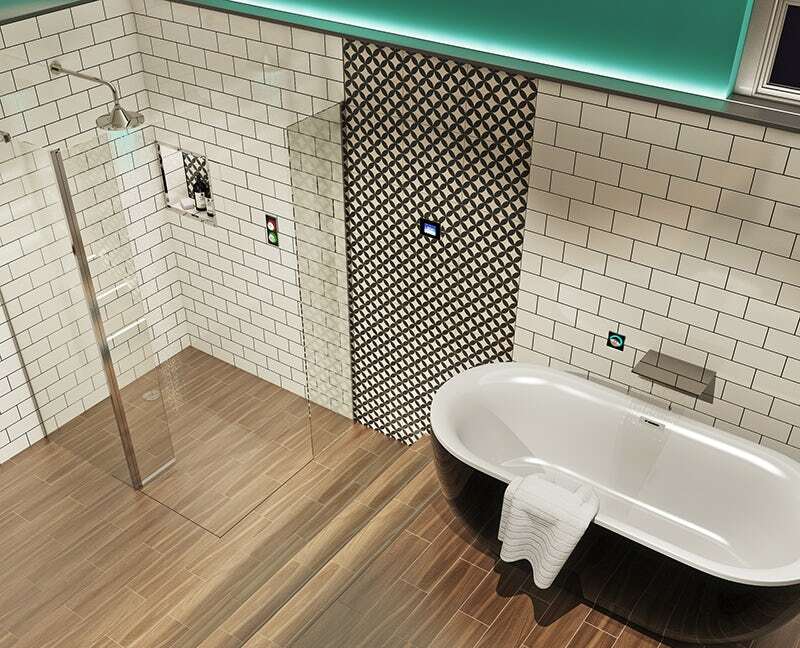 When decorating a bathroom, it’s all too easy to spend your time thinking about the appliances, units, floor and wall coverings that you use – but what about practical considerations such as heating?